Lead is a chemical element and heavy metal with a high toxicity level. It is bluish-white in color and can be found anywhere from paint to toys. It is also a naturally occurring product of the Earth so it can be easily found in water, soil, and dust. Lead is not normally found in the human body and there is no way for the body to produce lead naturally. Lead poisoning occurs when too much lead gets stored in the body. It usually enters the body through eating and breathing. When lead enters the body it is stored in the bones and other parts of the body. The body mistakes lead for iron and stores it in bones and the nervous system, though it affects nearly every system. Lead poisoning usually not outwardly visible in kids although it might be to blame for learning delays and behavior problems. There is currently no way to effectively treat lead exposure. The best thing you can do for yourself and your child is to remove the source of lead from your home and get your child tested. For more serious cases chelation therapy is used. Visit the our Lead Recall webpage (coming soon!) for information on products recalled due to lead contamination. Who is affected the most by lead? Children under the age of 6 years are at greater risk of elevated blood lead levels because of normal hand to mouth activity in areas or with items potentially contaminated with lead. Additionally, because certain parts of their nervous system are in the early stages of development, they are more susceptible to the toxic effects of lead. Children are more susceptible to the effects of lead exposure because their body and brain is still developing. They are at the most risk because they spend a lot of their time on the floor and explore the world with their hands and mouths. A child's exposure to lead can occur slowly or quickly depending on how they are exposed. How does lead harm children? Even at low levels of exposure, children may develop behavior problems and get angry and frustrated easily. They have a hard time learning new things, and may develop Attention Deficit Disorder (ADD) and have trouble succeeding in school. At high levels, lead poisoning can cause headaches, hearing loss, brain damage, anemia, coma, and even death. Lead poisoning can harm a child’s nervous system and brain when they are still forming, which may result in permanent loss of intelligence. Can a person with lead poisoning transmit this to another person? Chelation therapy uses agents to bind to lead stored in the bones and organs. The agent and bound lead are disposed of through normal elimination. This therapy may be used for children with very high lead levels but will only lower those levels. It will not repair the damage already done to the body. Once lead is in the body, the damage it causes cannot be reversed. At lower levels of lead poisoning, doctors will stress the importance of a sensible diet to aid in the reduction of lead in the body. Consult your doctor for further information and methods of treatment. Do not eat imported goods (candy, snacks, etc…) that are suspected of containing lead. Is my child in danger of lead poisoning? All children are at risk of lead poisoning. Wouldn’t I know if my child had lead poisoning? No. Children with lead poisoning often look and act normal on the surface. When should I have my child tested? All children should be tested for lead at 12 months and again at 24 months. Any children between the ages of 3 and 6 who have never been tested should be screened for lead as well. Ask your child’s health care provider about getting a simple blood test. Childhood blood lead level screenings can be done by your child’s health care provider. 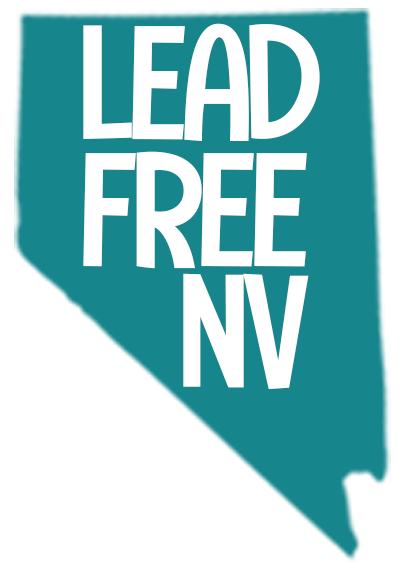 Some doctors in Nevada do not know that lead is a problem here and may not offer the test to you. Insist that your child be tested for lead. A blood test is the only way to know if your child may have been exposed. If you do not have a health care provider, blood lead testing is available at the Southern Nevada Health District’s main facility at 280 S. Decatur Blvd. Wednesdays from 1:30 p.m. – 4 p.m. for children between the ages of 1 and 5. Most insurance companies cover the cost of lead screenings for children. The Southern Nevada Health District accepts most insurance as well as Medicaid and Nevada Check-Up. If you are uninsured, testing is $20. Appointments are not needed. For additional information, call (702) 759-1000. What should I do if I, or someone I know, begin to show symptoms of lead poisoning? Where should I go for screenings, periodic monitoring and treatment? Visit your health care provider. dwss.nv.gov/medical/ncumain 1-800-543-7669 The Nevada Check Up program provides low-cost, comprehensive health care coverage to low-income, uninsured children (birth through 18) who are not covered by private insurance or Medicaid. nevadawic.org/for-families/closest-clinic 1-800-8-NEV-WIC (1-800-863-8942) Work with your WIC nutritionist for information about a healthy diet for your child. http://snecac.com/resources-and-links SNECAC has a list of resources and links on their website including early childhood care and education, K-12 education, service directories, and community and family development services.